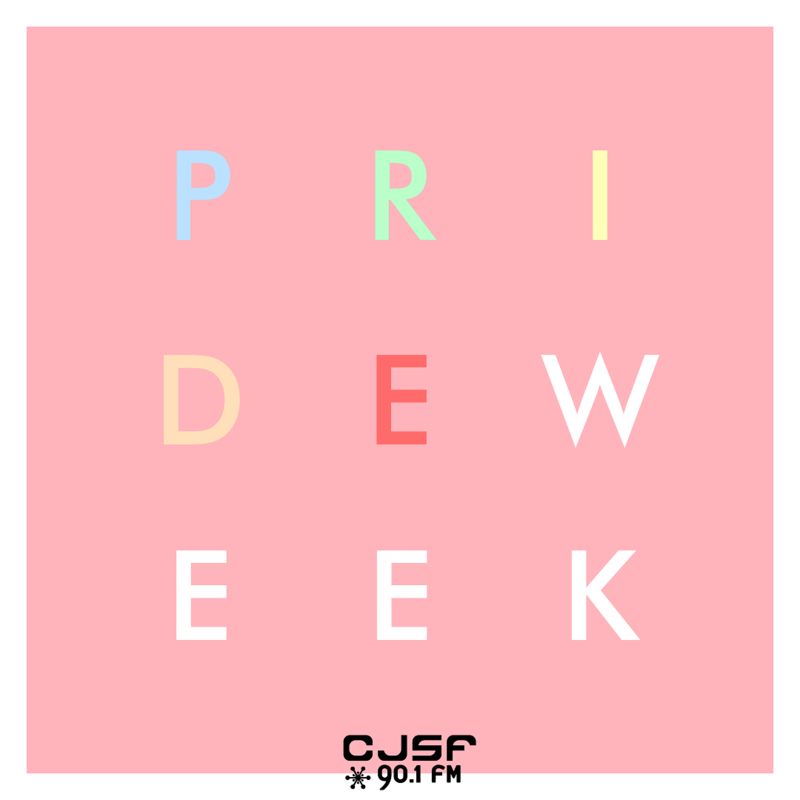 CJSF's Pride Week is July 31 through August 6, and you're invited to get involved! Here's how we're marking the occasion: read on for more info. Tune into 90.1 FM in Metro Vancouver and cjsf.ca worldwide to listen! On August 6, CJSF will be participating in the Vancouver Pride Parade - all are welcome to take part in it with us, so come as you are. We will be holding a CJSF Pride Committee meeting at SFU Harbour Centre Room 1500 on July 28 at 6:30pm - drop by to learn more about the CJSF Pride marching group and to join it! We also invite you to tell us (and the world) what Pride means to you! We're throwing open our production studios and recording a series of Pride PSAs with members of the community, both on-campus and beyond. If you're interested in getting your voice on one, please contact CJSF Public Relations Coordinator Chris Yee at cjsfpr@sfu.ca.